I learnt the Real me 1 has an awesome performance that is worth every penny spent on it, while the Real me 2 comes with the perfect design and screen. Could you imagine I never did a review on those smartphones? But this time around I decided not to miss out on the Real me pro because it comes with the perfect design, sleeky look, feminine look, awesome performance and a good battery life. Just so you know Real me is a sister company to Oppo, a smartphone company that is fast becoming a household name in the mobile technology industry today. This tells why Real me is doing some perfect tech works, who would not? when you are affiliated to Oppo. The Realme 2 Pro is basically an upgraded version of the Real me 2, one noticeable upgrade in the Real me 2 Pro is the choice of Snapdragon 660 chipset which is an upgrade and a far better option than the Snapdragon 450 chipset the Real me 2 carried. It has already proven to be an excellent performer in the middle and especially the budget range. As expected, the Realme 2 Pro also upgraded the camera - it comes with a 16MP Sony IMX398 sensor with bright f/1.7 lens for the main camera and another 16MP snapper for the selfie photography. 4K video recording is available, too, while the power of the Snapdragon 660 allows for video stabilization on the 1080p videos. Merely seeing this tells you the Realme 2 Pro was made as an upgrade to its predecessor, the Real me 2. Personally, I am impressed, but trust the tech geeks, some will always have a different view, editos at GSMARENA thinks the Real me 2 pro still looked like a step backward with that cut in speed, instead of a different take on the budget phone. In terms of packaging the Realme 2 pro comes as packed just as its predecessors. Its box contains a 10W charger, a microUSB cable, and a soft transparent case. The Realme 2 ro also comes with screen protector as expected on most new smartphones. Though the one on the Real me 2 pro perfectly fits the screen and has the same notch as the actual panel beneath. And as always, we appreciate the extra security measure put in place as the Realme 2 Pro rocks a Corning Gorilla screen so you are sure of the device safety if it sleeps from your hands. 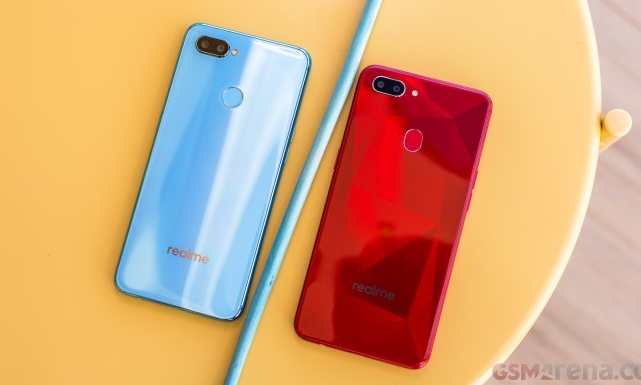 In terms of hardware design there isn't much difference between the Realme 2 Pro and its predecessors that were released a little over six months ago. Bu there is a unique identifier in the Real me 2 Pro. The Real me 2 comes with its uniform colour instead of 3D-like patterns. Realme says the Ice Lake paint was inspired by the bitterly cold Arctic Ocean and you can almost feel it looking at that mesmerizing back. I think we should not talk too much about the back of the phone as its the front of a device that attracts more attention. The Real me 2 Pro comes with 6.3" face with a small dewdrop-like notch for the camera. 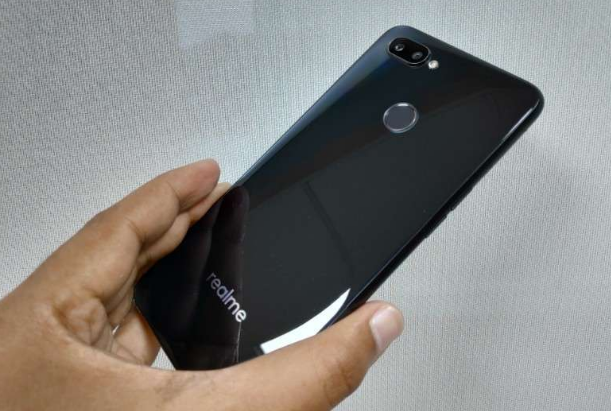 "It's a huge step over the chunky cutout we saw on the Realme 2, and one of the most non-intrusive notches we've seen so far." An editor with GSMARENA said. Both Oppo and Vivo had ideas how to make the notch less irritating. The Oppo F9 was the first with this waterdrop-like notch, while Vivo chose to use the Essential shape for the cutout. We can't decide on who did it better, but both notches surely look better than the large dark strip on the previous Realme 2. Should we expect less from a phone backed by Oppo? I don't think so, the Realme 2 Pro comes with the same 6.3" IPS LCD screen with a dewdrop-like notch we saw on the Oppo F9. It's of 1080p resolution that adds up to a very decent pixel density of 409ppi. However, the Real me 2 Pro's actual screen resolution is 1,080 x 2,340 - that's 19.5:9 aspect. Its been confirmed that the Realme 2 pro has exactly the same screen as the Oppo F9. That is, the screen was lifted from the Oppo F9 and display tests confirm it. The Realme 2 Pro did great when connected to an active external amplifier, delivering splendidly clean output and nicely high volume levels. Sincerely speaking this device is the best gadget ever made by real me but I am sure they will come with something even more better in a little while. Will I advise you to purchase the Real me 2 Pro even at a retail price of N120,000? YES! But if you are interested in camera and not function-ability then you can shop for other devices like the Huawei’s Nova 3i.